Simi Valley, being the third largest city among the 10 cities in Ventura County, boasts of a huge number residential properties and commercial businesses. That has largely contributed to the many plumbing firms in the city. And with the stiff competition in the plumbing company market, you would expect all services to be quite exceptional. Highsmith & Daughters Plumbing Inc. is actually one of those companies that stand out in Simi Valley. What Kind Of Work Do Our Plumbers Carry Out? 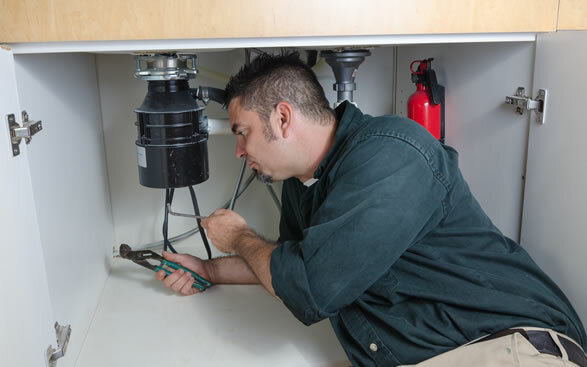 A typical plumbing company in Simi Valley offers a wide range of plumbing installation, repair, and maintenance jobs. However, these services may vary from one company to the next in terms of scope. At Highsmith & Daughters Plumbing Inc, we provide exclusive plumbing services to residential, commercial and industrial clients. While there are many plumbers in Simi Valley providing a range of plumbing services, only a few manage to satisfy their clients fully. Every plumbing company in the city is different in terms of personnel, plumbing experience and customer service. So please research our company reviews online and you’ll see we are one of the top companies in Simi. A company’s reputation largely defines the quality and/or kind of plumbing services you can expect from it. The reputation is mostly based on the track record and client’s perception towards the company. For instance, Highsmith & Daughters Plumbing is one of the most reliable plumbing companies in Simi Valley because it’s highly efficient, honest and dependable. Contacting such a company means you’re guaranteed of getting better value for your money. Plumbing emergencies like clogged toilets and/or broken water pipes are pretty stressful. And when you experience such, you need to find a plumber who will respond fast and come to your home to immediately fix the problem. Delaying can cause the problem to become worse and fixing it might end up being costly. So why not entrust your plumbing repairs to companies like Highsmith & Daughters Plumbing that will arrive at your place within 30 minutes after you make a call? Carrying out emergency plumbing repairs may mean spending money that you’ve not budgeted for. As such, you’ll probably;y want to contact a company that offers superior plumbing service at competitive rates. That way you’ll be able to save more. As one of the established plumbing companies in Simi Valley, we always strive to be fair in our pricing. Though the amount you’ll pay largely depends on the nature and magnitude of the job, we always offer honest price quotations with no hidden fees. If you need emergency plumbing repairs, whether it’s late at night or on a holiday, then you can be sure our 24-hour Simi Valley service will be there for you. Simply grab your phone and call us and we’ll be right at your place in no time to evaluate and fix the problem.